During World War II, merchant ships carrying valuable cargoes were attacked not only on the open seas, but also within sight of the Australian coastline on much-frequented coastal trade routes. Merchant men suffered the greatest percentage of deaths of any service and often the vessels were unarmed in defence. The supply of the war effort in to and out of Queensland required vast infrastructure. Soon after the commencement of the war the Naval Board instituted a system of escorted coastal convoys as a protective measure. Ships that sailed independently, rather than in convoys, ran a greater risk of being torpedoed. Merchant seamen serving with the Allied Forces during World War II suffered a greater percentage of fatalities than any other branch of the armed forces. Figures from the Seamen’s Union of Australia show that 386 members of the union lost their lives during World War II. With a membership of 4500 at the beginning of the war the overall fatality rate among members of the union was 8.5 per cent, a rate higher than that sustained by other branches of Australia’s fighting services. Because of its length of coastline and many ports, by the 1880s the colony of Queensland had recognized the need to establish its own coastal shipping service rather than rely on external shipping lines to transport its cargoes of rainforest timber, sugar, bananas, coal and meat. 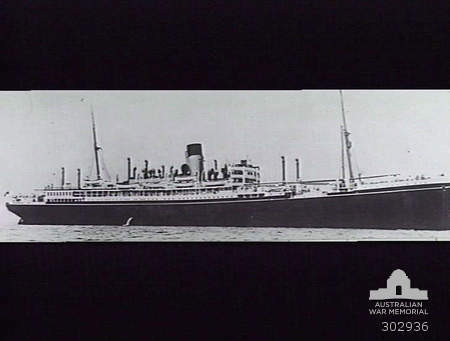 To secure the service the Queensland government agreed to pay the British India Company a subsidy to form the Queensland Steam Shipping Company (later the Australasian United Steam Navigation Company–AUSN) to operate a coastal shipping service which proved of great value to local commerce and primary industry. By the early 1900s Queensland had developed a substantial fleet of local merchant ships operating from Torres Strait to Brisbane. 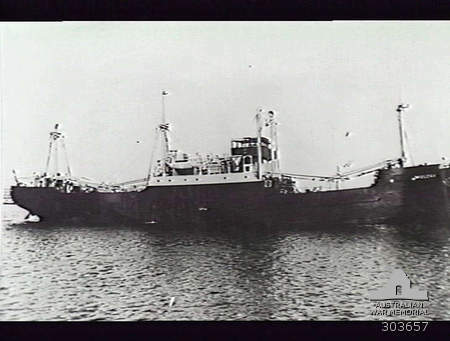 Queensland coastal merchant shipping continued operating throughout World War II, despite the risk of attacks by Japanese submarines and aircraft. 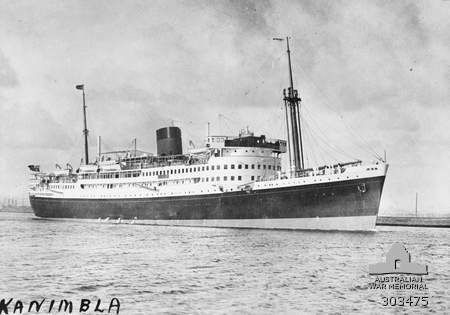 Among a number of merchant vessels lost off the Queensland coast during the war was the AUSN coastal steamer Macumba, which was sunk by Japanese aircraft in August 1943 while on a run from Brisbane to Darwin with supplies and war materials. 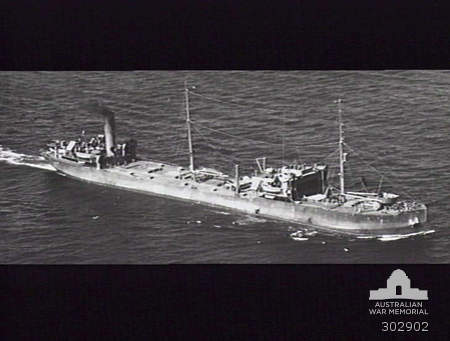 In April 1943 the Howard Smith (Australian Steamships Limited) vessel Kowarra was sunk by a Japanese submarine with the loss of 21 lives while steaming from Bowen to Brisbane with a cargo of sugar. 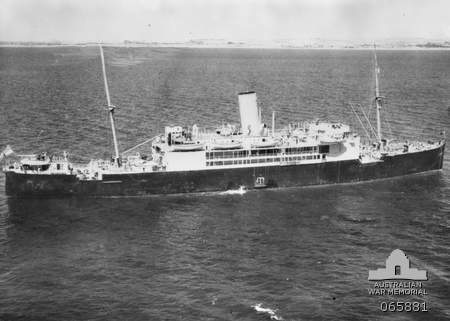 Another Howard Smith vessel, the SS Canberra was heavily strafed by Japanese aircraft off Cape York in March 1943 with many of the crew injured. From modest beginnings in Townsville with the establishment of coastal shipping links from Brisbane to north Queensland and the south-west Pacific, Burns Philp steadily expanded into a range of merchant and ship-owning activities, including Pacific island plantations and trading centres. Robert Philp was twice Premier of Queensland and from the late 1800s to the early 1900s the company maintained coastal shipping services between Brisbane, north Queensland and Melanesia. 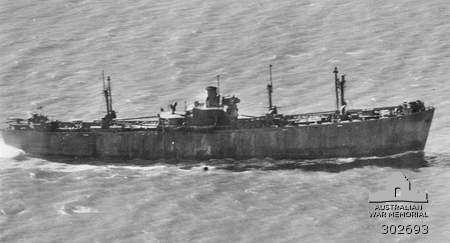 Much of the Burns Philp merchant fleet was requisitioned after the Japanese entered World War II. Australian hospital ships were manned by Merchant Navy crews. In the early morning darkness of 14 May 1943, the hospital ship Centaur was sunk by the Japanese submarine I-177 off the coast of Moreton Bay, 80 kilometres north-east of Brisbane, going down in 3 minutes. 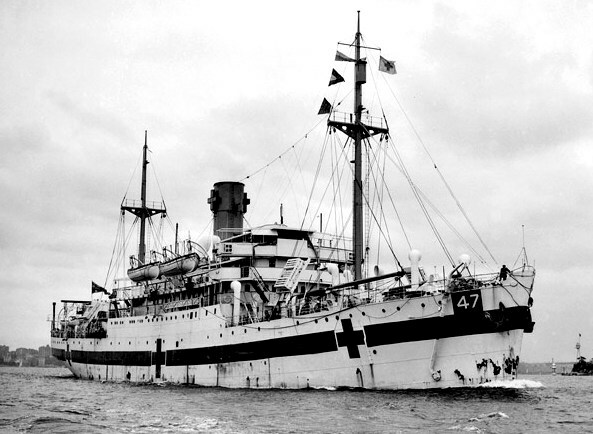 The vessel was brightly illuminated with large red crosses displayed on the hull in accordance with the Geneva Convention. Only 64 of the 332 crew and medical personnel on board survived. Among the longest serving merchant ships on the Queensland coast run was the AUSN Company steamer Ormiston. 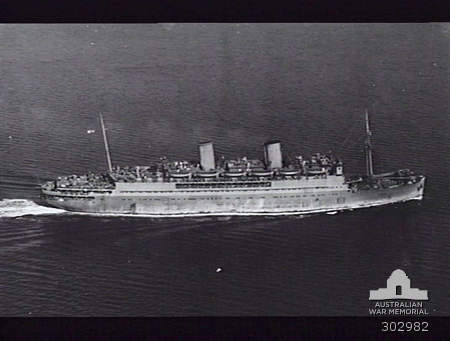 In January and February 1942 SS Ormiston was used for the compulsory evacuation of civilians from Thursday, Horn and Hammond Islands in the Torres Strait. These included European, Chinese and Islander women and children being sent south to Cairns, Townsville and Brisbane. 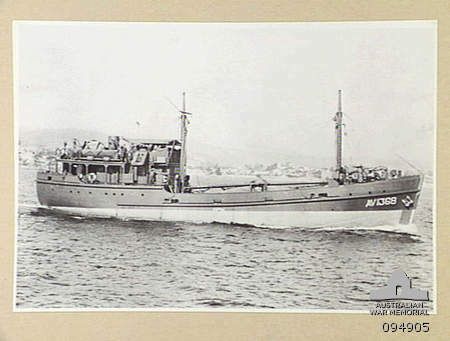 Other coastal vessels used in the evacuation of north Queensland civilians included the SS Katoomba, Taroona and Wandana. The entire Japanese population of Thursday Island had earlier been shipped south for internment aboard SS Zealandia. 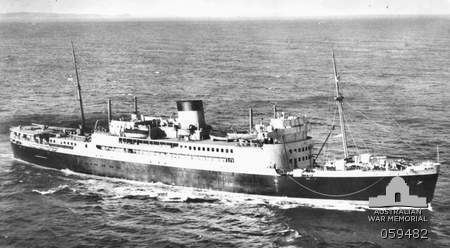 A staggering 79 Royal Netherlands Merchant Line (KPM) vessels were lost in Japanese air and sea attacks during evacuation of the Netherlands East Indies (NEI) in early 1942. However, the Dutch were able to save much of their merchant fleet that was located in Australian and Sri Lankan ports. Surviving Dutch merchantmen and tankers were assigned to the Allied shipping pool which then allocated them to the US Army where they were designated as US Armed Transports (USAT). KPM vessels were also allocated to the Allied Consultative Shipping Council, formed by the Australian government in March 1942. The KPM had over 20 merchant ships in Australian waters by early 1942, some fitted with a naval gun manned by RAN gunners. Most Dutch crewmen were Indonesian nationals. Dutch shipping and crews based in Australia made a major contribution to the war effort in the movement of Allied troops and supplies to the New Guinea and Pacific island war zones. The Dutch merchant fleet’s presence in the South West Pacific Area increased in 1944 as about 30 KPM vessels assisted in General MacArthur’s island hopping campaign. American Liberty Ships were a major component of Allied Merchant Navy shipping unloading in Queensland ports during World War II. Manned by merchant seamen, they were an emergency response to a critical shortage of maritime cargo ships in the early years of the war, exacerbated by German U-Boat activities in the Atlantic. Liberty Ship building in the US got underway after mid-1941. Their construction at hundreds of shipyards throughout America was a significant achievement in engineering design for mass production. Over 2700 Liberty Ships were launched during the war and by 1945 they comprised the greatest standardized fleet ever built. By mid-1942 Liberty Ships were familiar sights at Brisbane and Townsville, discharging everything from amphibious vehicles and jeeps to crated aircraft, fuel, ammunition and airfield bitumen. In north Queensland they provided logistic support for US Engineers engaged in airfield construction, unloading heavy equipment at temporary jetties along the coast of Cape York. Port operations in Townsville and Cairns were partly controlled by RAN personnel although cooperation by all services was essential to make the most of the limited berths and cargo handling facilities. A port controller was appointed for Townsville in September 1942. This port carried the brunt of cargo handling until Cairns became a US transshipment port in 1943. During 1942 Townsville handled 428,500 tons of war materials, 5500 vehicles, and 70,000 tons of oil and petroleum products. At one time in 1943 there were 18 ships alongside the wharves at Townsville docks and 64 awaiting berths, anchored in Cleveland Bay. The Australian waterfront had reached a chaotic stage by early 1942. Pillaging from the wharves had risen during the early war years, resulting in the establishment of the Stevedoring Industry Commission to bring organisation and stability to an industry plagued by appalling industrial relations. From February the shipping industry came under government regulated control involving prices, profits, materials, investments and wages. The Stevedoring Commission marked the beginning of the end of the old system of waterside employment. But it was not the end of waterfront strikes in north Queensland ports. These continued, to the anger of Australian and US troops and the embarrassment the Curtin government. One of the largest strikes, at the Port of Cairns during April and May 1945, was over ‘danger money’ for loading ammunition and ordnance. The army eventually sent some 800 troops of the Australian 6th Division from Kairi on the Tableland to the wharves, with instructions to ‘shoot the bastards if they don’t leave within 30 seconds’. The army took control of the wharf from the waterside workers unopposed. Companies of soldiers worked 12-hour shifts until relieved by another crew. This action ensured Australian troops had ammunition and supplies when they landed at Balikpapan, Borneo, in July 1945.